From left, “Once Upon a Mattress” cast members Jessica Dolan, Charlie Adelman and Parker Dougherty. This is the first time in several years arts advocate Tina Salamone won’t be involved in the Miller Park Summer Musical. But the former director of the Bloomington Center for the Performing Arts, who passed away earlier this year, won’t be forgotten. 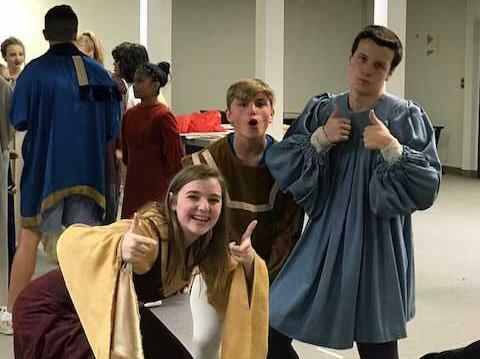 This year’s production of “Once Upon a Mattress” is being staged in her honor. The musical is based on the Hans Christian Andersen fairy tale, “The Princess and the Pea. The production runs July 27-30. Director Tricia Stiller said she and Salamone had been making plans to stage the show before Salamone’s sudden death of a heart attack last March. “This show in particular was very dear to her,” Stiller said on GLT’s Sound Ideas. That's because Salamone played the princess in "Once Upon A Mattress" when she was starting out as an actress. She later played the role of the queen mother. “She was very excited to bring this show to the community and I’m honored to continue that for her,” Stiller said. “Once Upon A Mattress” is the story of an unhappy prince named Dauntless the Drab who struggles to free himself from his domineering mother so he can find his princess bride. He falls for an intrepid princess named Winnifred who is despised by his mother. The role of Winnifred was originated on Broadway by comedienne Carol Burnett in her 1959 Broadway debut. “It was there that Lucille Ball saw Carol and helped her get her start (in television),” Stiller said. Burnett later played the mother, Queen Aggravain, in a subsequent television production of the show. In the Miller Park production, Dauntless is played by 17-year-old Oskar Urquizo, an incoming senior at University High School, who is performing in his 10th summer musical. He says being on stage has taught him valuable lessons. “There is nothing that fosters empathy better than theatrical experience because you are truly forced to see life from your character’s perspective, so you gain all these different insights,” Stiller said. Stiller noted that some graduates of the summer theater program have gone on to perform professionally. “We have kids come through our programs whether though parks and recreation of summer theater or Community Players who are now theater professionals because we saw that spark in them when they were young,” Stiller said. Like most fairy tales, “Once Upon A Mattress” contains a timeless wisdom, Stiller said. “Once Upon A Mattress” has music by Mary Rogers, the daughter of famed Broadway composer Richard Rogers, and lyrics by Marshall Barer. The show was adapted for televisions three times, in 1964, 1972 and 2005. It was revived on Broadway in 1996 with Sarah Jessica Parker, Lewis Cleale and Jane Krakowski in the leading roles. Lovers of fairy tales are in luck this summer. In addition to "Once Upon A Mattress," Bloomington's Community Players is staging a production of "The Little Mermaid," based on another Hans Christian Andersen story. That production runs Thursday through Sunday this week. Listen to the interview with musical selections from "Once Upon A Mattress." "The Little Mermaid," with its charismatic singing sea creatures, ushered in a new era in Disney animation. The 1989 film was the precursor of all those blockbuster film and stage musicals that followed, including "Beauty and the Beast," "Aladdin" and "The Lion King." 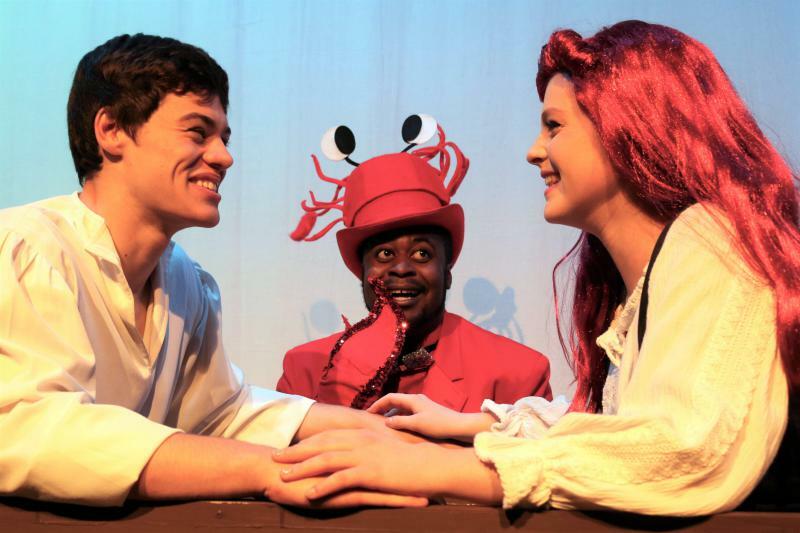 Now Bloomington-Normal audiences will have a chance to see if the stage version of "The Little Mermaid" contains everything they loved about the animated film with Community Players' new production of the musical. "I somehow chose the only profession in the world that has fewer chances of employment than professional wrestler."